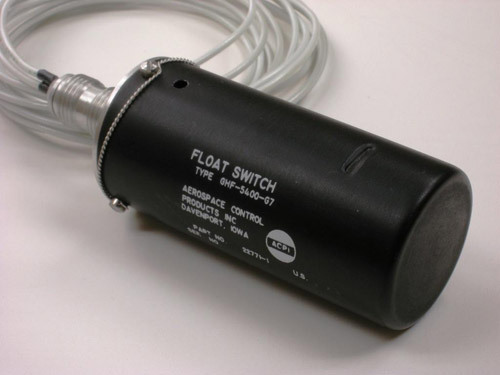 Aerospace Horizontal Liquid Level Switches - Davenport, Iowa - Aerospace Control Products, Inc.
Aerospace Control Products, Inc. horizontal float switches are used in a wide variety of applications. 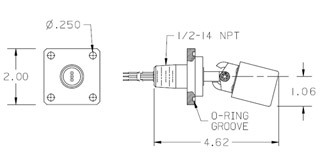 A long service record exists on these units in the extreme environments of aerospace and other industries. 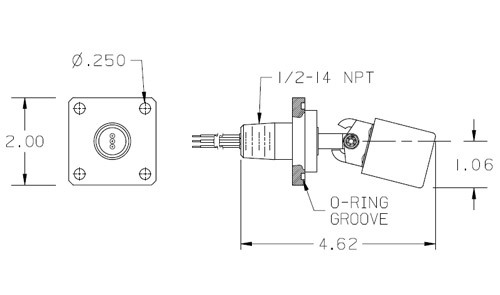 For higher power applications, a proprietary leaf spring switch is encapsulated in an epoxy-sealed cartridge. 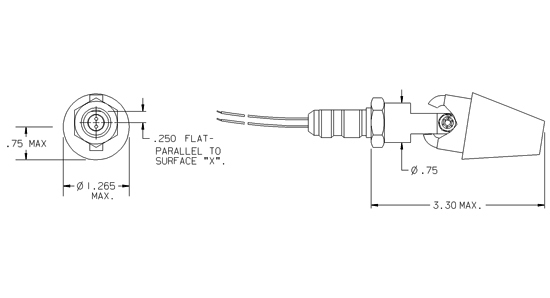 Options are available for low power applications. A closed cell Nitrile foam float (a metal float is optional) with an attached horseshoe magnet moves with changing liquid levels, actuating the switch at the desired set point. 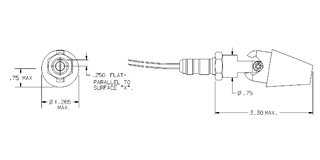 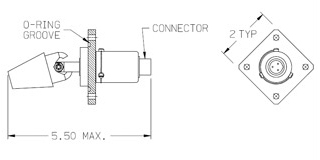 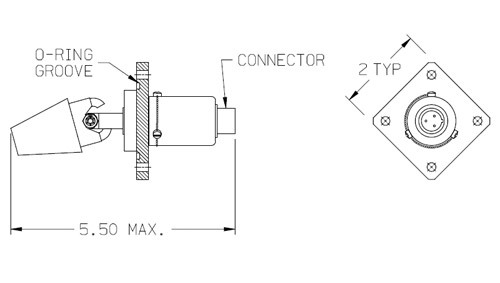 Options within this family of switches consist primarily of operating fluids, liquid level actuation/reset settings, electrical current carrying capacity, mounting method, port size/type, and connector type/wire leads. 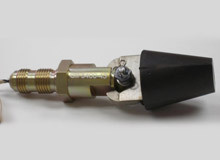 A cover can be added, providing resistance to sloshing, and preventing false signals.